Personal Life Safety Pocket Guide (Fireproof Residential Buildings) – NY Fire Consultants Inc. 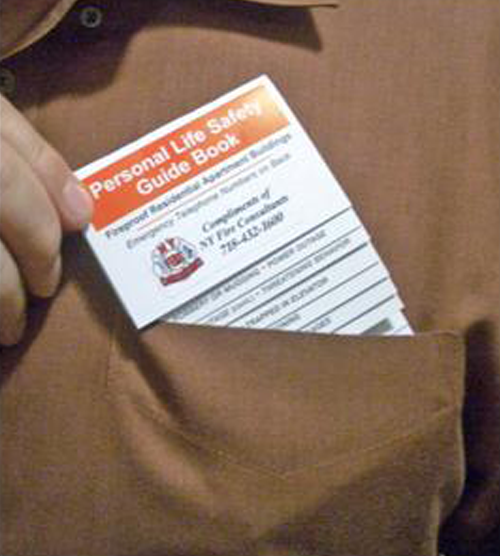 The Personal Life Safety Pocket Guide Books offer a quick reference for fire and life safety emergencies, and fit in most shirt pockets for immediate access. These handy reference books are a must for residential building staff as well as occupants. Call us at 212-239-9051 for volume discounts on orders of 100 or more.